The dirty plans of the United States, which announced that it was going to withdraw its troops from Syria, are being revealed. In the proposal submitted to the U.S. Congress for approval in February, the Pentagon requested $300 million to arm and equip the Kurdistan Workers’ Party (PKK) terror group, who it considers as its valuable ally,” in Syria. U.S. President Donald Trump is seeking to protect the terror group in Syria after U.S. soldiers withdraw with a joint military force from neighboring Arab countries. There are approximately 2,000 U.S. troops in Syria, and in recent weeks, Trump has reiterated that he seeks to bring those troops back home as soon as possible. According to the Wall Street Journal (WSJ), the U.S. is seeking to amass an Arab force in northeastern Syria. The initiative comes amid requests by the Trump administration to Saudi Arabia, Qatar and the United Arab Emirates (UAE) to contribute billions of dollars and send troops. “Saudi Arabia, Qatar and the UAE have all been approached with respect to financial support and more broadly to contribute,” a Trump administration official told the WSJ. 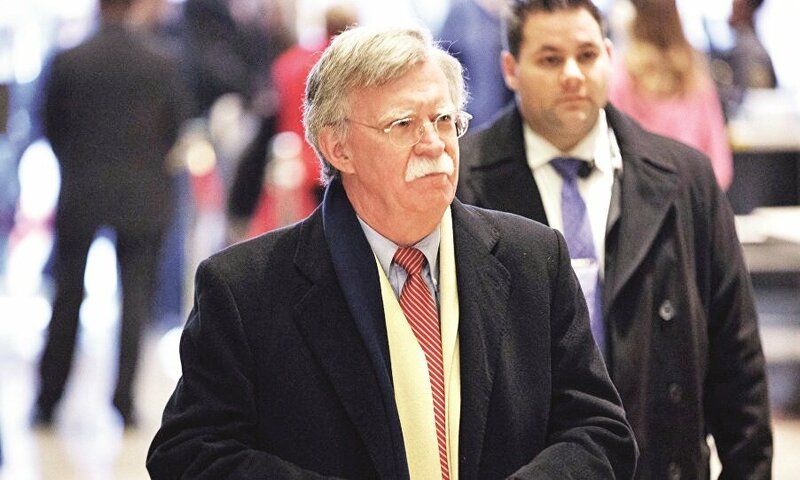 Trump’s new national security adviser John Bolton also reached out to Egypt’s acting Intelligence Chief Abbas Kamel, extending an invitation to join the effort. 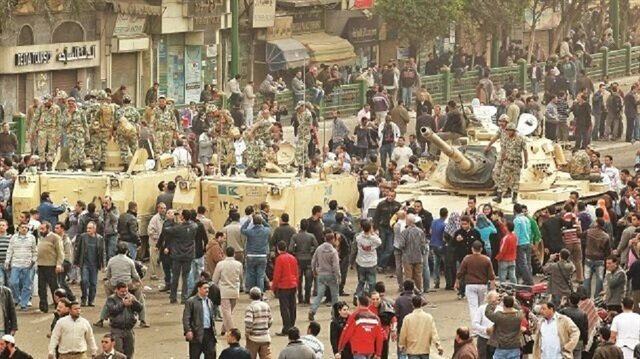 Kamel is considered one of the most powerful figures in the Egyptian regime. Saudi Arabia’s Foreign Minister Adel al-Jubeir said on Tuesday that Riyadh was ready to send troops to Syria as part of any U.S.-led move. “We are in discussions with the U.S., and have been since the beginning of the Syrian crisis, about sending forces into Syria,” Al-Jubeir said. “We made a proposal to the Obama administration that if the U.S. were to send forces ... then Saudi Arabia would consider, along with other countries, sending forces as part of this contingent,” he added, noting that Saudi Arabia’s offer was not new. 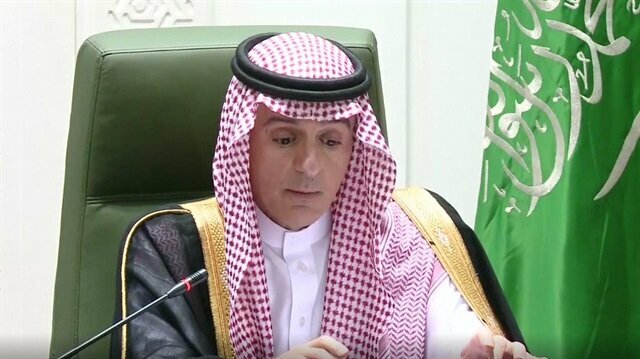 The Saudi Arabian Foreign Minister Adel al-Jubeir said that the kingdom is willing to send troops to Syria in a press conference on Tuesday. The minister noted that discussions on sending troops to Syria were underway. "With regards to what is going on now, there are discussions regarding what kind of force needs to remain in eastern Syria and where that force would come from. And those discussions are ongoing," said al-Jubeir. He stressed that troop deployment in Syria will be done within the framework of the Islamic Military Counter Terrorism Coalition and also suggested Saudi Arabia would provide financial support to the U.S. The Arab countries which have received proposals by the U.S. have asked that initially, some U.S. troops remain in the region and that air support continues. Saudi Arabia’s Crown Prince Mohammad bin Salman requested that the U.S. soldiers remain in the medium term in Syria. Arab nations that received offers from the U.S. have reached out to the founder of paramilitary company Blackwater, Erik Prince. Prince said Monday that he was informally contacted by Arab officials about the plan to build a force in Syria but that he was waiting to see what Mr. Trump would do. If the U.S. wants stability in Syria it should work with Turkey rather supporting terrorist groups such as the YPG/PKK, said an expert on Middle Eastern affairs on Tuesday. “When working with sub-state actors such as the YPG/PKK, this actually creates instability,” Kadir Ustun, executive director at the Washington offices of the Ankara-based Political, Economic and Social Research Foundation (SETA), told a panel on Syria organized by the think-tank.Turkey has criticized the U.S. working with the YPG/PKK -- the terrorist PKK's Syrian branch -- saying Washington is ignoring the group's terrorist status as part of a failed policy of "using one terrorist group to fight another. "In its 30-year terrorist campaign against Turkey, the PKK has taken some 40,000 lives.Pointing to the lack of a comprehensive U.S. policy on Syria, Ustun added: "One of the things the U.S. talks about is establishing stability in Syria. If it wants this, it has to work with Turkey. But working with sub-state actors such as the YPG/PKK actually sows instability. "Another speaker at the panel, Mehmet Koc of the Ankara-based Center for Iranian Studies (IRAM), said that Iran is one of the most critical actors in the current situation in Syria.Stating that Iran paid a heavy price in Syria while scoring some successes, Koc said Tehran wants to use Syria as a bargaining chip at the table with Western powers. "Iran doesn’t see the Syrian crisis as an isolated issue. The nuclear deal, the Syria crisis, the Lebanese issue, the conflict in Yemen, the operation in Bahrain, and the developments in Iraq -- Iran sees all this as part of politics, a doctrine,” said Koc.On Turkey’s strategy in Syria, Murat Yesiltas, SETA’s director of security research, said that Turkey doesn’t want to side with any one party in the war-torn country.Underlining the threat of the PYD/PKK terrorist group, Yesiltas added that Turkey is working to drive the PKK out of lands it has taken, damage its military capacity, and scatter its political efforts.U.S.-Turkish relations should be put back on track, he said. The Pentagon is seeking to arm up to 65,000 members of a "U.S.-partnered force" in Syria, including the terror group PYD/PKK, according to its 2019 fiscal year budget proposal.In the proposal submitted to the U.S. Congress for approval in February, Pentagon requested $300 million to arm and equip its partners in Syria for the fight against Daesh.Also, $250 million was also requested for building “border security” in Syria.The full report -- FY 2019 Overseas Contingency Operations (OCO) Request Counter-ISIS (Daesh) Train and Equip Fund (CTEF) -- obtained by Anadolu Agency on Monday shows the U.S. administration’s willingness to arm and equip 30,000 for conducting ongoing combat missions against Daesh in the Middle Euphrates River Valley, and 35,000 "Internal Security Forces" in liberated areas across the country. "To accomplish U.S. military objectives, partner force generation in Syria will be comprised of local forces that are demographically representative, appropriately vetted, trained, and equipped to ensure a safe and secure environment and capable of countering ISIS [Daesh]," it said in the budget proposal.According to the proposal, the Pentagon plans to allocate $162.6 million of the $300 million on weapons, equipment, and vehicles, $8 million on base life support which provides basic humanitarian needs, $28 million on transportation and staging costs, and $101.5 million for operational sustainment.Among the weapons being planned to be sent include 25,000 AK-47 automatic rifles, 1,500 light machine guns, 500 heavy machine guns, 400 RPG-7 rocket launchers, 95 sniper rifles, 20 60mm mortars and 60 120mm mortars.Along with its total of $47 million cost, Pentagon also requested additional $24 million for ammunition of these weapons.The U.S. has supported the PYD/PKK, which is the Syrian offshoot of the PKK terror organization that has waged a more than 30-year terror campaign against the Turkish state that has resulted in tens of thousands of deaths.American support for the terror group has long vexed Ankara as Washington views the PYD/PKK-led SDF as a "reliable partner" in its fight against Daesh and continues to provide it with arms and equipment in the face of strong objections by Turkey. The European Union hinted on Monday that the bloc would take more measures against Syria in regard to a suspected chemical attack by the Syrian regime. “In July 2017 and in March 2018, the EU imposed additional restrictive measures on Syrian high-level officials and scientists for their role in the development and use of chemical weapons and is ready to consider imposing further measures going forward,” said the bloc’s Foreign Affairs Council in a statement after meeting in Luxembourg.EU calls on Russia, Iran to prevent Syria from chemical weapons use The statement reiterated the bloc’s support for the U.S.-led airstrikes against Syrian regime’s reported chemical sites. “The targeted U.S., French, and U.K. airstrikes on chemical weapons facilities in Syria were specific measures having been taken with the sole objective to prevent further use of chemical weapons and chemical substances as weapons by the Syrian regime to kill its own people,” the statement read. The U.S., France, and Britain launched the strikes days after a suspected chemical attack killed dozens in the town of Douma in the Damascus suburb of Eastern Ghouta. The EU has taken measures against 261 people -- such as travel bans and asset freezes -- for being responsible for violent repression against civilians in Syria and for benefiting from or supporting the regime. The bloc said 67 more entities had also been targeted by asset freezes.